Money Mentor, Maureen Campaiola today announced the launch of a ground breaking, step by step program to help women business owners stop the money drama, find the cause of their money woes and start down the road to financial recovery. It took a foreclosure notice for me to get my head out of the sand. You don't have to let this happen to you. Starting today you can shine a light on your money and turn your financial situation around. I’ll teach you how to be a savvy money diva. Money Mentor, Maureen Campaiola today announced the launch of a ground breaking, step by step program to help women business owners stop the money drama, find the cause of their money woes and start down the road to financial recovery. The program is designed to help women rid themselves of emotional and unconscious money chaos, free themselves from debt, under earning and other financial self-sabotage. "The Money Breakthrough Program helps women entrepreneurs and business owners create life changing money breakthroughs" says Campaiola. “How do I know? Because ten years ago I was facing foreclosure and began my quest to fix my money woes. Now, I’m sharing the same strategies and tools I used to learn to love my money.” She added, "It's time women change their relationship with money and start creating a new and exciting connection with their cash. Money isn't a 'set it and forget it' relationship. Once you learn my money breakthrough method, it's a phenomenal tool you'll use the rest of your life —both personally and professionally — to always keep your relationship with money on track." During this program Campaiola will teach entrepreneurs how to stop putting the brakes on their income by using simple techniques anytime they need to give their income a boost. The program tackles debt and other guilty money issues that stop many women from growing their business along with great accountability exercises and tools to keep folks moving towards great and greater income. Women entrepreneurs can expect to learn how to stand in their power with money and the best strategies to deal with difficult money situations that are bound to come up in their business. Campaiola explained she's offering this program because so many women entrepreneurs are serious about making more money but don't know where to start and how to make it happen. They struggle with countless money blocks that keep getting in their way. She designed this program to provide real strategies and techniques for creating money breakthroughs so women can start loving their money. 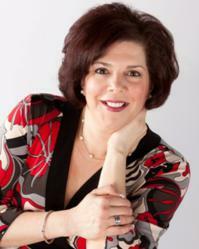 Certified Money Coach, author, and speaker Maureen Campaiola is a sought after money expert. While Maureen has it together now, it wasn’t always that way. After spending 25 years in a field known for burning you out, she was set free. Problem was, Maureen had no savings, had $50,000 in credit card debt, a kid in college and no plan. Her breaking point came the day she opened the foreclosure notice. Desperate to change her financial situation, she started her cleaning business and quickly built it to multi six figures. Simultaneously, she began learning everything she could about changing her relationship with money. Over the past ten years she gone from being an under earner, broke, credit card wielding shopaholic to a responsible, debt free woman who values and loves money – and she’s here to help you love your money too! Known for her fearless, take charge approach Maureen delivers simple ways women entrepreneurs can change their relationship with money once and for all. Maureen’s ground breaking work has helped hundreds of women create more income, eliminate their debt, and increase their confidence, so they can have the money, time and freedom in their life and business. Maureen passionately and compassionately delivers her unique Break Through Your Money BS message that EVERY woman entrepreneur can and deserves to be debt free, live abundantly, spend wisely and invest smartly.